The full body of the Congregation for the Doctrine of the Faith met with the Pope on Friday, 27 January, to discuss his conviction that no other work of the Church, particularly this congregation, takes precedence to the work of evangelization. Everyone ought to be committed "to bringing God back into this world and to opening to all men access to the faith." 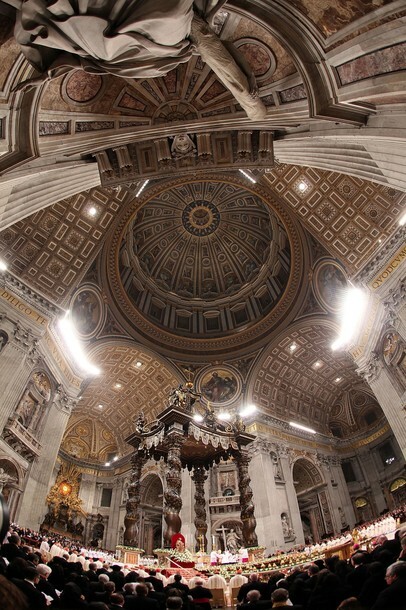 Benedict see now as the opportune moment "to point out to all the gift of faith in the Risen Christ, the clear teaching of the Second Vatican Council and the invaluable doctrinal synthesis offered by the Catechism of the Catholic Church." Recently, the Pope said that "we are facing a profound crisis of faith, a loss of religious meaning which constitutes the greatest challenge to the Church" (Message for World Mission Day). 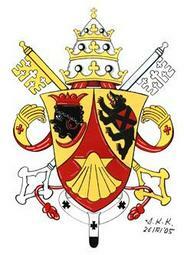 4. a need for a "discernment between Tradition with a capital letter and the traditions": "There exists," he said, "a spiritual wealth in the different Christian confessions, which is an expression of the one faith and gift to share" (reflecting the recent work done for the full communion of Anglicans). The last concern of Benedict was that the entire Church speak with one voice with Peter. 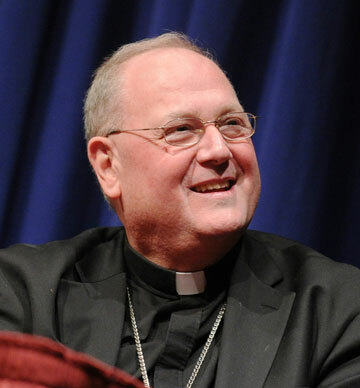 Fordham Law School's Institute on Religion, Law & Lawyer's Work hosted Archbishop Timothy Michael Dolan, PhD, for an inaugural address in the Law and the Gospel of Life series. Continue reading Law and the Gospel of Life --Archbishop Dolan addresses a NY crowd. Against the backdrop of the Jewish feast of expiation Yom Kippur, Jesus, priest and victim, prays that the Father will glorify him in this, the hour of his sacrifice of reconciliation. He asks the Father to consecrate his disciples, setting them apart and sending them forth to continue his mission in the world. Christ also implores the gift of unity for all those who will believe in him through the preaching of the apostles. In meditating upon the Lord's priestly prayer, let us ask the Father for the grace to grow in our baptismal consecration and to open our own prayers to the needs of our neighbors and the whole world. Let us also pray, as we have just done in the Week of Prayer for Christian Unity, for the gift of the visible unity of all Christ's followers, so that the world may believe in the Son and in the Father who sent him. Earlier today, Monsignor Paul Tighe, the Secretary to the Pontifical Council for Social Communications, talked about the Pope's 2012 message for World Communications Day (May 20, 2012). To some the combination of silence and word as a path to sharing the Good News of Jesus Christ is a contradiction, mutually exclusive and not an adequate response to making the Name of the Lord known and loved. Not at all. God reveals Himself in words and deeds but He also speaks to us in silence. Indeed, in silence. Wonder and awe before the Divine Mystery is only lived in silence. The Church Fathers knew this; medieval saints and theologians knew this, and so does the contemporary Church. Father Jean-Pierre Ruiz of St John's University (Queens, NY) speaks to the perceived contradiction here. "Silence and Word: Path of Evangelization" is the 46th message of the pope's speaking in favor of social communications. It is terrific, it is necessary, read it!!!! Continue reading Pope speaks on the World Communications Day: Silence and Word: Path of Evangelization. An extraordinary gift has made the good news of the Bible better known for those who are unable to read and write. Reportedly 50 percent of the world is illiterate. An initiative of Jerry Jackson and colleagues, Faith Comes by Hearing, is making it possible for the world to hear the Bible in one's language. It is available in more than 610 languages, reaching 185 countries and 5 billion people to date. AND the Pope now has an iPod with the audio Bible. Watch the video clip on Faith Comes by Hearing here. Support Faith Comes by Hearing! We seem to be asking the same question: What is Christianity? A perplexing question for believers, I suspect. Test everything, Saint Paul tells us. Indeed, probe the question and don't be afraid of doubt and the questions. The certainty of faith is known in the experience and the investigation of the reasonableness of the faith. 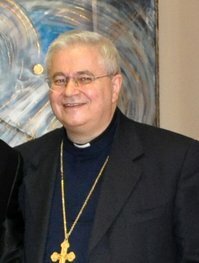 Antonio Quaglio in article published today on ilsussidiario.net, "It's Christianity. Simple." reflects on what Father Julián Carrón spoke on at the New Encounter 2012 this past weekend: that Christianity, in its true sense, need to be lived without reservation and without excuses and justifications. Continue reading It's Christianity. Simple..
On January 1, we celebrate the Solemnity of the Mother of God, the open the new civil year, and we observe the World Day of Peace. The Pope gives a message on this day that sort of works as a programmatic statement for his work throughout the year. 2012 is a year to work on the virtue of justice. At some point the future I will define the virtue of justice more than "giving another his or her just due." The Pope clarified his thinking on justice which can be read here. 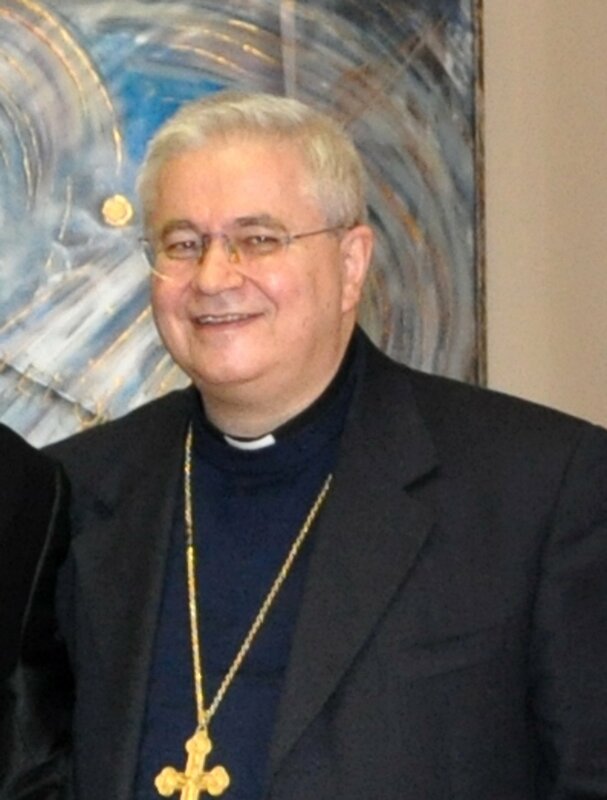 ZENIT spoke with the Salesian bishop, professor of social philosophy, former rector of the Pontifical Salesian University and Consultor for 20 years of the Pontifical Council for Justice and Peace, about Benedict XVI's message. ZENIT: Why does Benedict XVI address young people in particular in this 45th Message for the World Day of Peace? Continue reading Unpacking the Pope's World Day of Peace message for 2012. This page is a archive of entries in the Faith & Reason category from January 2012. Faith & Reason: December 2011 is the previous archive. Faith & Reason: February 2012 is the next archive.